Six volunteers joined us today for our second Adopt-A-Spot beautification event at the Indian River Bridge, this time tackling the southeast corner. Repeating the design we installed a few weeks ago on the opposite end of the bridge, our team planted beauty berry, verbana, muhly grass, and mums. We also planted encore azaleas in the planters at both ends of the bridge; they are still small but they'll grow. Over the winter, we'll be doing more planning with the city to extend and expand our beautification activities along Indian River Road. A big thank you to our volunteers who put in 23 hours today digging, pruning, planting and watering - working to make our community more attractive. We had a very engaging discussion with Council Member Debbie Ritter at our meeting yesterday. The conversation ranged from how the city government is organized (the Council sets policy and the City Manager and Departments execute day to day operations), to the Council's oversight responsibility, to how the state legislature must pass enabling laws for local government to take action because of the 'Dillon Rule'. Closer to home, we discussed how the Indian River neighborhoods, being a mature community, often feels forgotten by the city when it focuses on new high growth areas. We have areas - particularly around the old Indian River Shopping Center - that need revitalization, but the city generally is not focused on incentives for retail business. But we need attention and we need a plan. Volunteer efforts for block by block beautification are useful, but a more concerted effort with the city is desired. We left the meeting with the intent to keep the conversation going with City Council members, the Norfolk Highlands Civic League, and the property owner, and other interested parties. Thank you to Sandy for bringing brownies and Sharon for bringing Banana Bread. 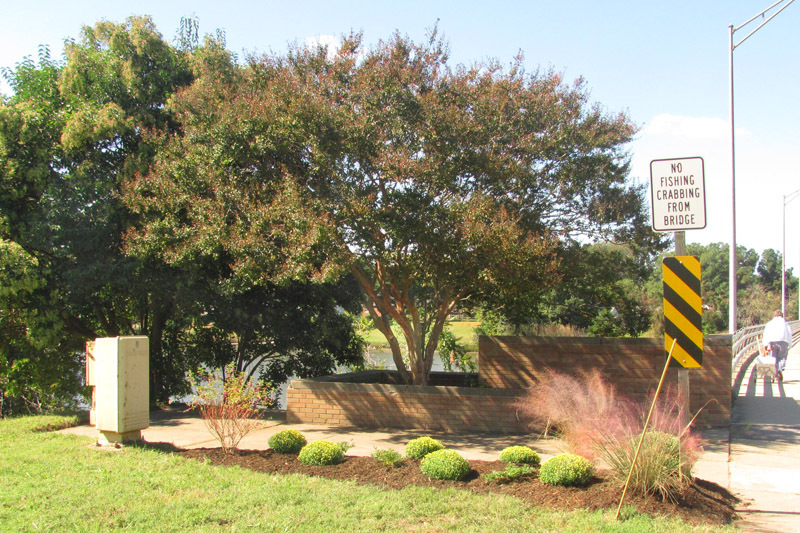 We still welcome more volunteers for our beautification and planting work at the Bridge tomorrow, Saturday, October 13, starting at 9 am. If you are going to the Indian River High School Fall Craft Show on October 20, we'll have an information display at booth 76; stop by and say hi. Our next regular meeting will be Thursday, November 8 and will include a slide show about local wildlife; we'll also collect non-perishable food for the Oaklette United Methodist Church food pantry at that meeting.